, or according to his epitaph, which Bayle follows, Nannius (John), commonly called Annius of Viterbo, where he was born about 1432, was a Dominican friar, and highly respected among his brethren for his extensive knowledge of Greek, Latin, and the oriental languages. He was also a zealous preacher, and his reputation having reached Rome, he was invited thither, and received with great respect by the members of the sacred college, and the popes Sixtus IV. and Alexander VI. This last conferred upon him in 1499, the honourable situation of master of the sacred palace, vacant by the promotion of Paul Moneglia to the bishopric of Chios. 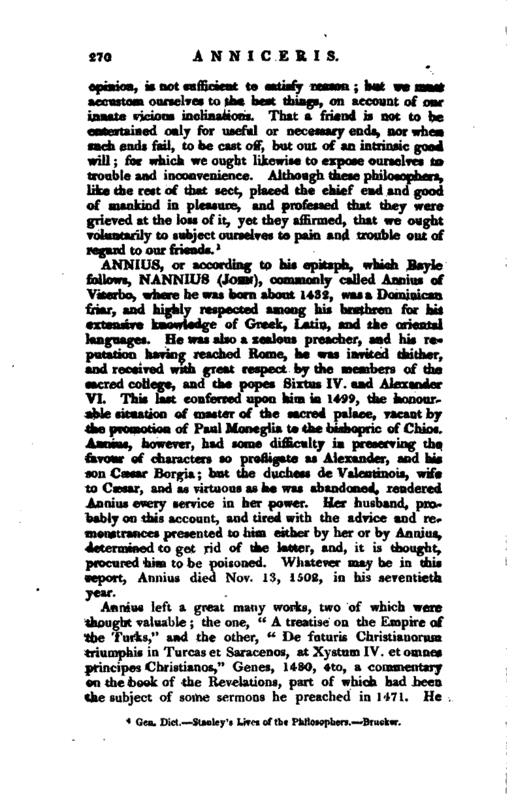 Annius, however, had some difficulty in preserving the favour of characters so profligate as Alexander, and his son Caesar Borgia; but the duchess de Valentinois, wife to Caesar, and as virtuous as he was abandoned, rendered Annius every service in her power. Her husband, probably on this account, and tired with the advice and remonstrances presented to him either by her or by Annius, determined to get rid of the latter, and, it is thought, procured him to be poisoned. 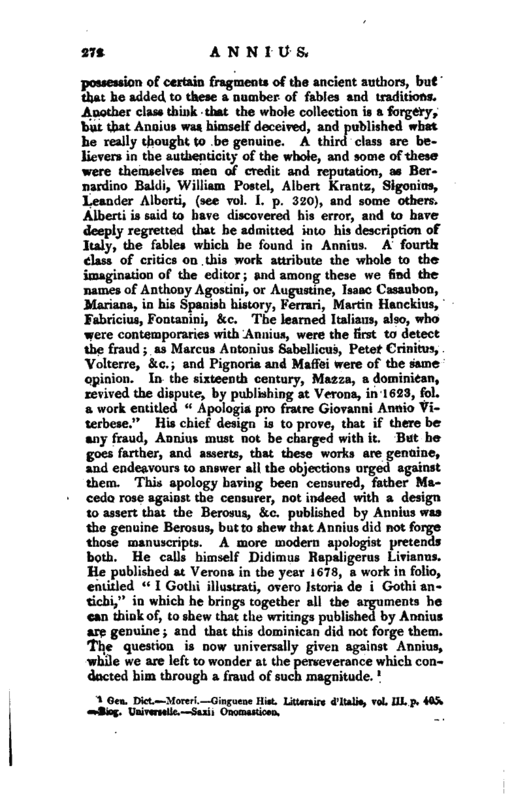 Whatever may be in this report, Annius died Nov. 13, 1502, in his seventieth year. Gen. Dict. —Moreri. Ginguene Hist. 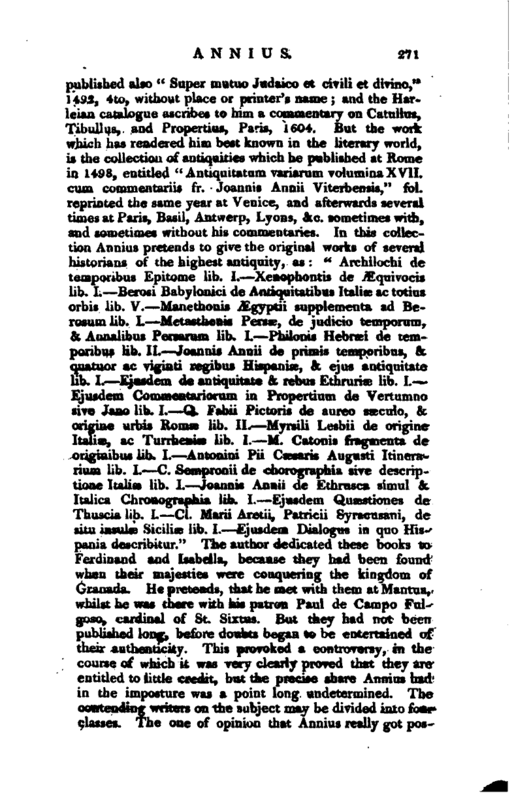 Litteraire d’Italie, vol. III. p. 405. 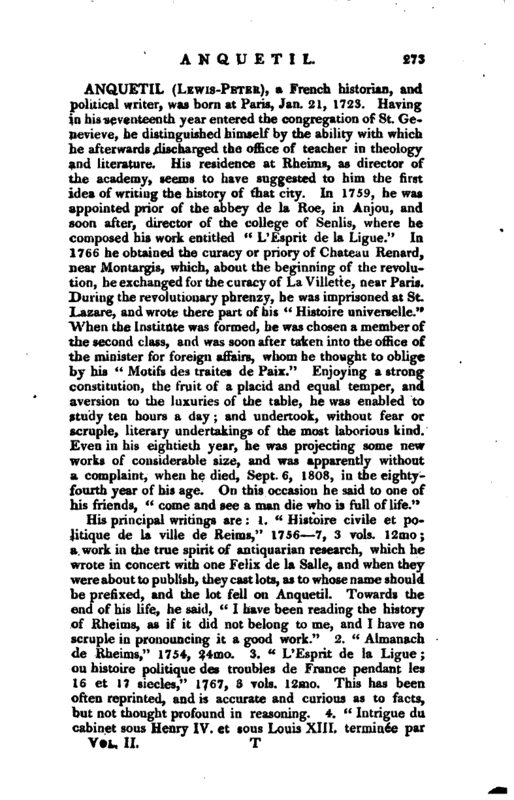 Biog. Universelle. —Saxii Onomasticon.